Ever since Hubby and I attended early summer local garden tours, we’d been trying to locate mock orange trees or shrubs, Philadelphus, that would thrive in the Pacific Northwest. The ones we’d viewed and deeply inhaled on the tour inspired us. We were only able to find a single native (also called western) mock orange, Philadelphus lewisii, at a local nursery, but did bring it home and promptly planted the 2′ shrub into a new bed at the front of the house. It will take a while for this plant to reach its mature size of 6-8′ but we’re not going anywhere. We’re hoping for fragrant blossoms in 2015! It’s planting season! Earlier this month I ordered some plants from Joy Creek Nursery, an excellent resource that grows hard-to-find plants and is known for reliably shipping plants from its home base north of Portland, Oregon to locations across the country. My first time doing business with them proved to be a quick and reliable way to get some plant varieties I couldn’t find at local nurseries. 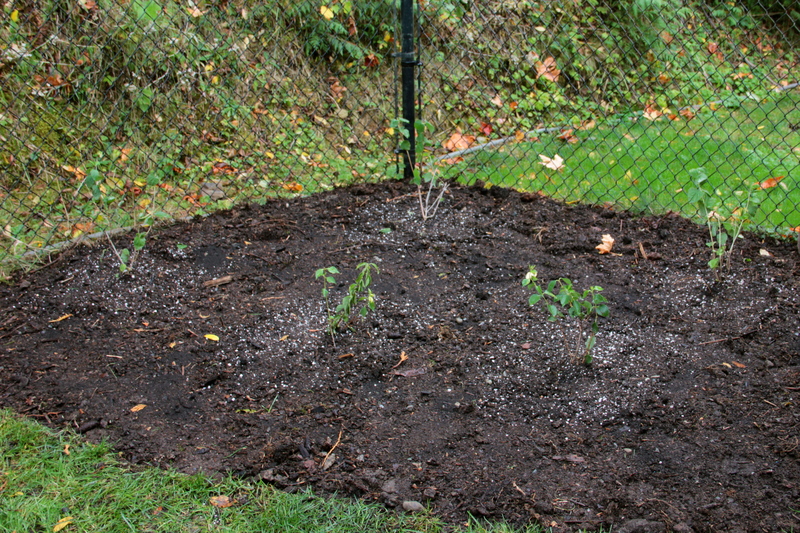 Because we have some extensive gardens and were armed with a planting plan, we decided one mock orange bush wouldn’t do. I was able to purchase five young specimens from Joy Creek. They arrived a mere three days after I placed the order, wrapped securely in newspapers, lying side by side in a cardboard box, their root system protected by soil and plastic. We planted three Philadelphus virginalis ‘Minnesota Snowflake’ and two Philadelphus ‘Innocence’ in an empty sloping plot near our new hot tub — a mix of hydrotherapy and aromatherapy! 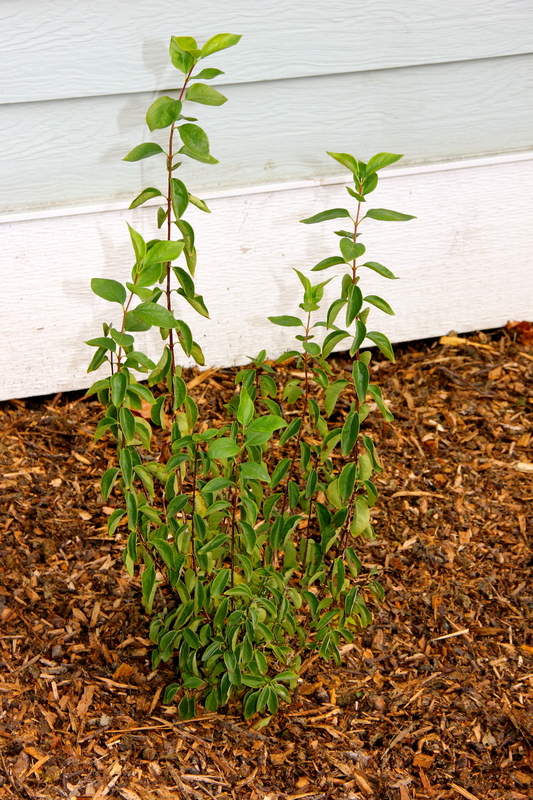 These plants are about 12-18″ high and can grow to 6×6′. 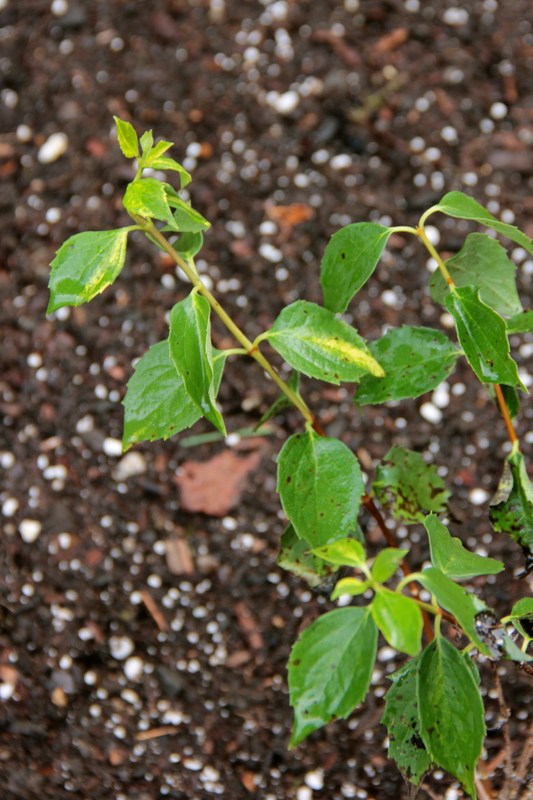 The “Innocence” is known for its pretty variegation. Although not so impressive right now, we’ll love watching these plants mature to fill the space with beauty. I’ll finish off this bed by transplanting clematis vines along the fence and adding low patches of crocuses and other bulbs at the front. The other plants I purchased from Joy Creek are four perennial Lobelia/ cardinal flowers in bright scarlet tones — ‘Fan Tiefrot’ and ‘Firewalker’ — and a Daphne odora aureomarginata, all of which I planted this week at Coppertop. Fragrant daphnes are very dear to me, reminding me of a sweet friend who shares their name as well as a friend in Norfolk who shared my love of these flowers. Aren’t the best plants the ones that bring loved ones to mind? I highly recommend Joy Creek Nursery for their healthy plants and efficient shipping, and will definitely purchase from them in the future. This entry was tagged daphne odora, gardening, Joy Creek Nursery, lobelia, mock orange, Olympic Peninsula, Philadelphus, Western Washington. Bookmark the permalink. Thanks for the support! I’ve enjoyed seeing what you’re up to down under — that restoration and the secret garden pique my interest. Yes, we’re pleased to have found the mock oranges and are hoping for gorgeous shows in years to come. Great shrub – mock orange. I loved it because I grew up in Jamaica and the fragrance was such a surprise – and a delight, in Ontario that I kept sniffing my friends’ shrub whenever we visited. Thank you, Cynthia. We hope to be filling up on its fragrance in 2015!